Legionnaires’ disease may be petering out but city officials aren’t ready to say it’s completely gone. Though cooling towers on the roofs of seven South Bronx buildings have tested positive for legionella bacteria since the weekend, no new cases of Legionnaires’ disease were reported in the last week, the mayor and his top health administrator announced today with guarded relief. 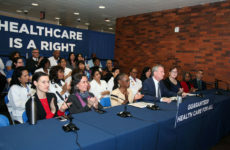 At a press conference at City Hall this afternoon, Mayor Bill de Blasio announced that the illness “continues to taper off,” but that a “significant lag time between contracting and reporting,” could mean more cases may still come. 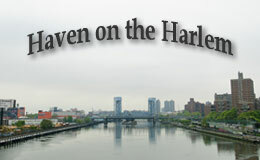 City health commissioner, Dr. Mary Bassett, hinted that one South Bronx site from the five originally reported in July to be carrying the bacteria in their cooling towers, may prove to be at the root of the 113 cases and 12 deaths that have occurred since July 10, but laboratory tests still must be finalized before those suspicions can be confirmed. 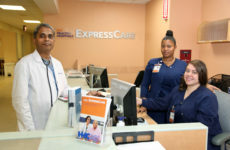 The five sites include the Opera Hotel on 149th Street; Lincoln Medical Center and Streamline Plastic Co. in Mott Haven; Concourse Plaza; and a Verizon facility on on 167th Street. In all, 700 South Bronx buildings have been checked as possible bacteria-harborers, the mayor said, adding that the list was narrowed to 39 buildings with cooling towers suspicious enough to signal the need for inspection. Of those, legionella was discovered in 12, all of which have been cleaned or are undergoing cleaning with biocides. The two buildings where legionella was discovered most recently are the Daughters of Jacob Nursing Home on Teller Ave. in Morrisania and a Dept. of Homeless Services building for families with children at 151 East 151 Street in Melrose. Officials insist people in buildings with contaminated towers are not at any higher risk of contracting the disease than anyone else. The bacteria that grows in contaminated rooftop towers—and which, health officials insist, can be quickly and easily eliminated with a simple cleaning—can spread through the air and sicken pedestrians with weakened immune systems and pre-existing medical conditions, as has happened in the South Bronx. With all of its existing health issues, Mott Haven, Morrisania and Hunts Point’s recent exposure to Legionnaires’ is adding insult to injury, said Bassett. “The South Bronx is a community already bearing an unfair burden of disease,” she said. 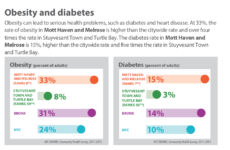 Mott Haven and Hunts Point’s asthma rates routinely rank among the city’s highest. The sites the mayor said were found over the weekend to contain legionella include: The Bronx County Hall of Justice at 265 East 161 Street; the former post office on the Grand Concourse at 149th Street; the Housing Court building on the Grand Concourse; and Samuel Gompers High School on Southern Boulevard. A mobile command center has been established at Hostos Community College at 450 Grand Concourse at 149th Street to help advise those affected by the outbreak. The City Council will convene tomorrow to hammer out details on legislation it hopes to pass Thursday, to tighten oversight on cooling towers. Changes call for establishing a new registry of cooling towers across the city, mandated quarterly inspections to watch out for signs of legionella and hefty penalties to landlords who fail to comply. Once the legislation passes, building owners will be required to disinfect cooling towers within two weeks of receiving orders from the city, and keep maintenance records of their HVAC cooling towers.